Anniversaries are special milestones that should be celebrated in whatever way possible. Such milestone should be commemorated since a lot of things have happened and for you to be able to make it thus far is quite an achievement you should be proud of. But anniversaries are not limited to relationships and marriages, even businesses and religious congregations celebrate their founding anniversaries with pride and honor. Be it for a first or 50th anniversary invitation, there should always be a commemoration of what has transpired between those times that led to a strong and lasting partnership. With that said, it is not necessary to have an overblown celebration for an anniversary. Some people, especially couples, celebrate their anniversaries privately like having a romantic dinner for two or a private and peaceful anniversary vacation. However, businesses and congregations usually celebrate their anniversaries all out, like concerts, gala, auctions, raffle draws, and whatnot; meanwhile, some couples celebrate their anniversaries with extravagant parties especially during big milestones. Regardless of the way you want to celebrate your anniversary, what matters is you look back on where you came from and learn from the experiences you have encountered. You may also see unique event ticket examples. 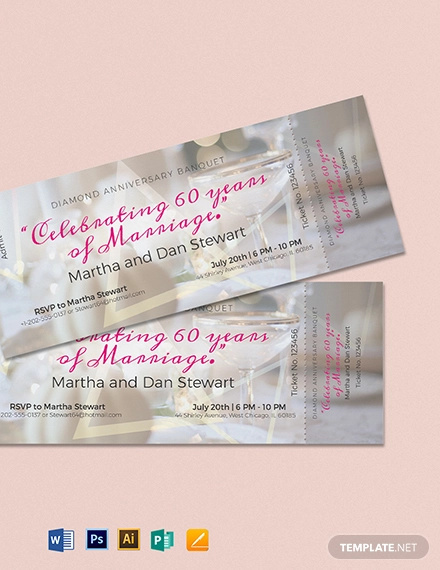 The most common design or template used for anniversary invitations are photographs. 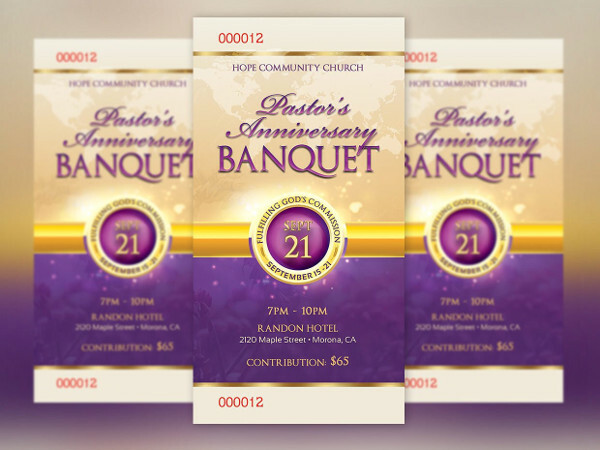 You only have to use a photo from your wedding, your business, or your congregation as the main subject for your invitation. However, it is important to remember that you have to include the important details for your party like the date and time, venue, dress code, etc. When using this style, make sure that there are no other photos included as it can distract your guest when looking at the invitation. Furthermore, you can also make use of borders that relates to the number of years you are celebrating, e.g. gold for 50th, silver for 25th, and so on. You may also see watercolor event ticket examples. Another one of the classics. 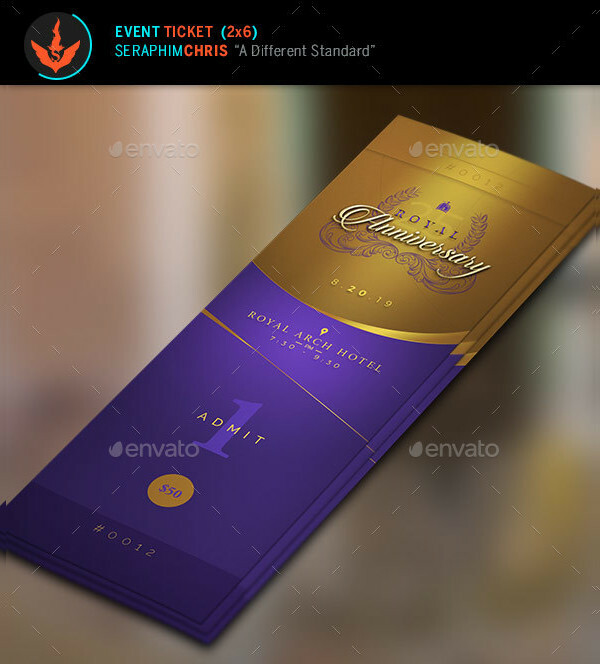 This type of invitation or document was common in the past centuries and it can be used for your anniversary party as well. Not only does it give you more room to write messages and other information about the party, it also adds a surprise factor to your invitation. 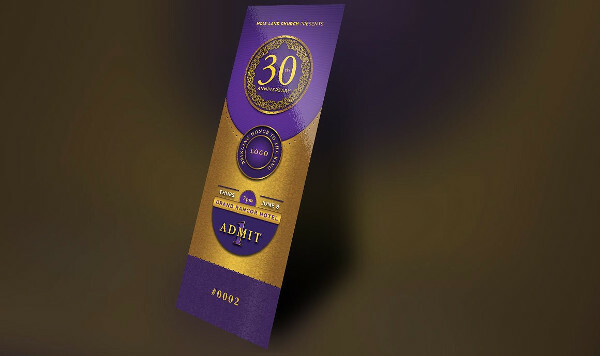 Since your guest has no idea what is inside the paper, it can surprise them that you are about to celebrate such an important milestone with them. In order to make this, make sure you choose a paper that will allow you to roll in up nicely, and make sure that the paperweight you use as the handle matches your theme or color scheme. 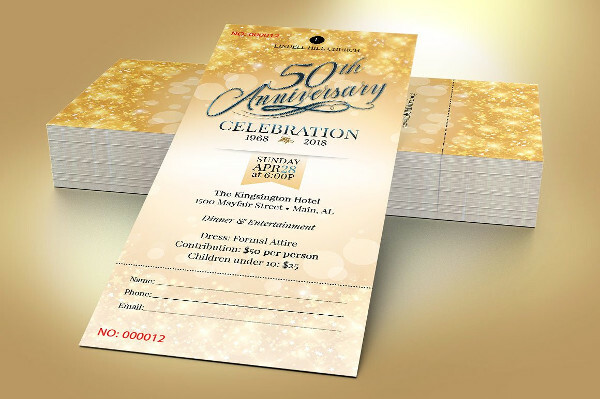 You may also check out here invitation ticket examples. Calligraphy is one of the most simple yet intricate design you can use for your anniversary invitation. 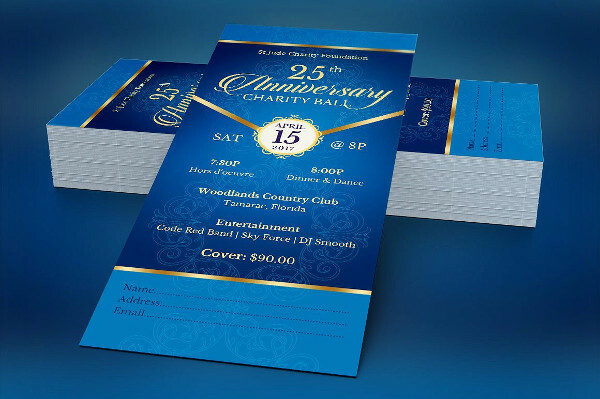 Not only does it make your invitation look appealing, it can also greatly affect the overall look of your invitation. 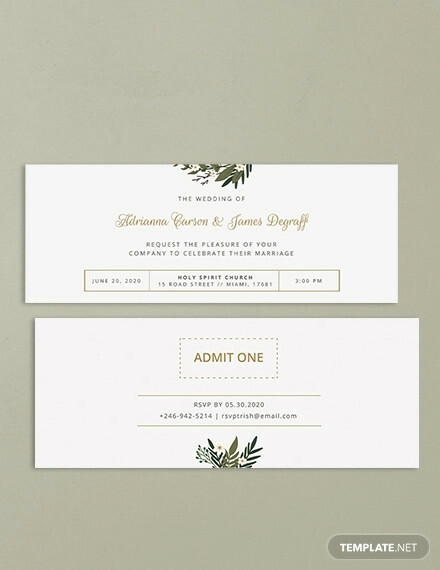 Using calligraphy in your invitation will make it look more sleek and clean, depending on the font style you choose, of course. 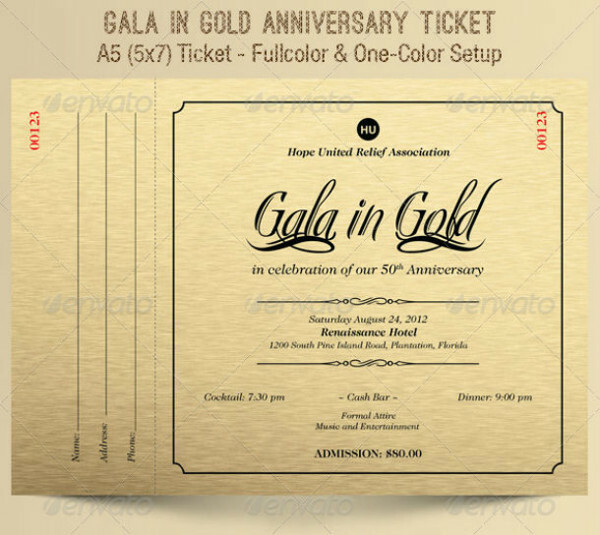 But in general, when you use calligraphy and intricate handwriting strokes, it makes your invitation look more elegant. You can use this for a photo invitation, a scroll invitation, card invitation, and so on. This style is versatile and can make anything look more pleasing and chic. In this day and age of technology, it is always better to make use of its advantages. In this case, you can use video invitations to invite your guests for the celebration of your anniversary. 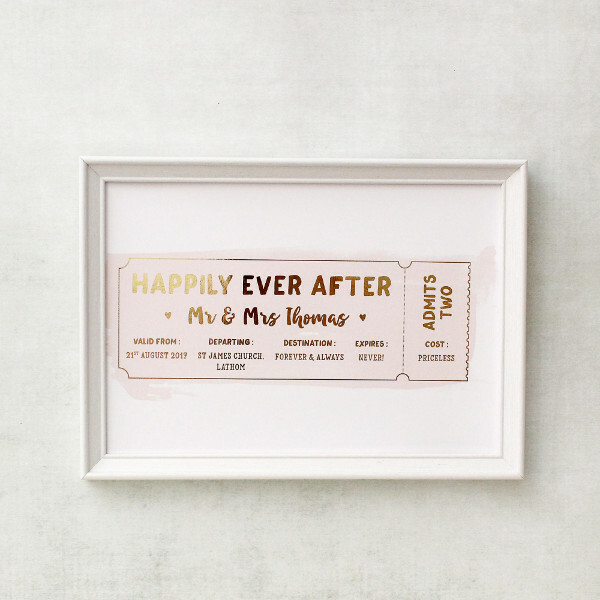 It is quite common nowadays to use videos for a couple’s save-the-date for their wedding, this can also be used for anniversary parties. You may use significant videos from your wedding or the day your business opened and add clips of the present. You can then add a talking portion where you invite your guests for your party. However, it is always better to have professionals shoot and edit the video/s for you to ensure your video invitation is flawless. You can then send this type of invitation to your guests’ email or other messaging applications. You may also see live concert ticket examples. 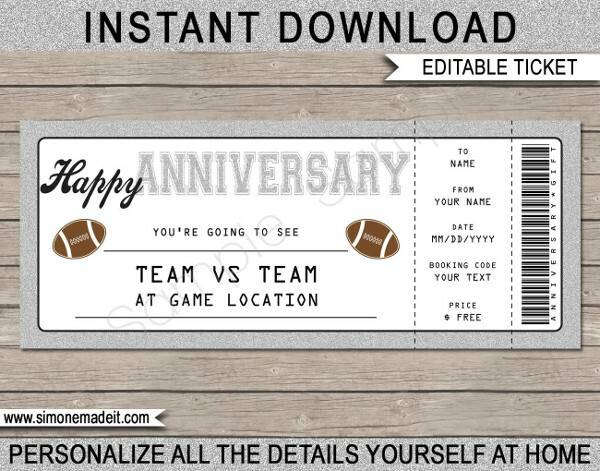 Another fun way of inviting your guests for your anniversary party is through using your favorite ticket template. 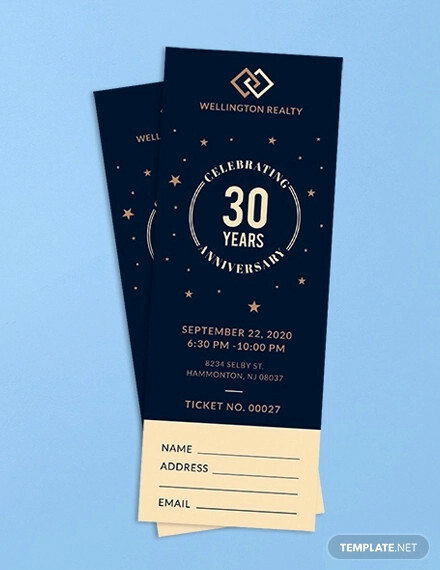 For example, boarding passes or sports tickets template can be used as your invitation for your party. The template you decide on using can be edited to include or incorporate the design you want as well as the information you want to be reflected. 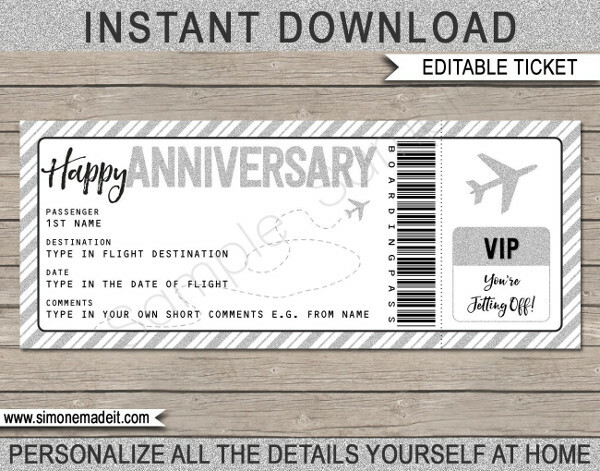 Using a ticket template for your anniversary invitation will also allow you to collect a portion of the ticket or the stub to enable a head count of the guests during your party. This will easily help you with accounting if you have stayed or went overboard your expected number of guests. You may also see valentine event ticket examples. Since the internet offers efficiency with delivering messages, it is better to make use of it. With that in mind, you can use e-cards for your anniversary invitation. E-cards are electronic cards you send through email or any other electronic messaging applications. 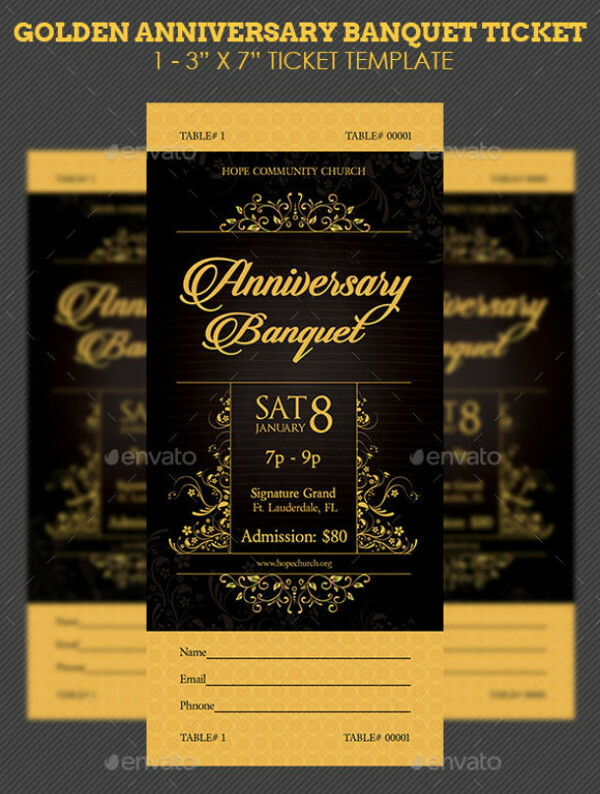 In your invitation e-card, you can use whatever style best fits your theme, the layout of your invitation should also be a depiction of how you feel with regards to your event. 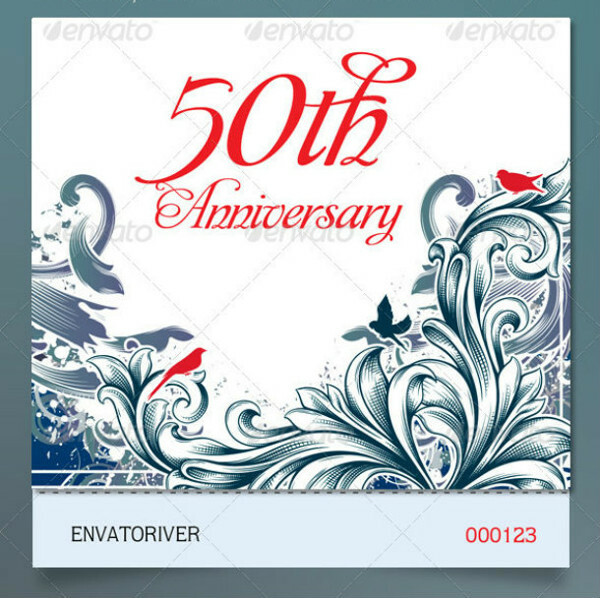 However, this can be a difficult task to achieve, it is better to ask help from professionals to make sure your anniversary e-card invitation is clean and attractive. You may also see festival concert ticket examples. Anniversaries, be it for personal relationships or business related, are important milestones in your life that is worth celebrating. At this point where you already have your invitation, you should immediately plan out your party. Planning parties in general is a difficult task; however, with the help of your family and friends, it can be done according to what you like. A step-by-step guide on the party-planning process is listed below to help you plan out an amazing anniversary party. You may also see best movie ticket examples. After deciding on the date and time for your anniversary party, it is time to decide the location where you want to hold your party. The venue where you want to celebrate your anniversary solely depends on you. You can have a private dinner with just your family and friends or have a grand celebration on a spacious venue. However, you have to consider the number of guests you intend to invite, applicable corkage fees, and the price for the the food and drinks you intend to serve. Make sure that the location for your venue is accessible to your guests and that the venue itself can comfortably accommodate them. You may also see movie ticket invitation examples. 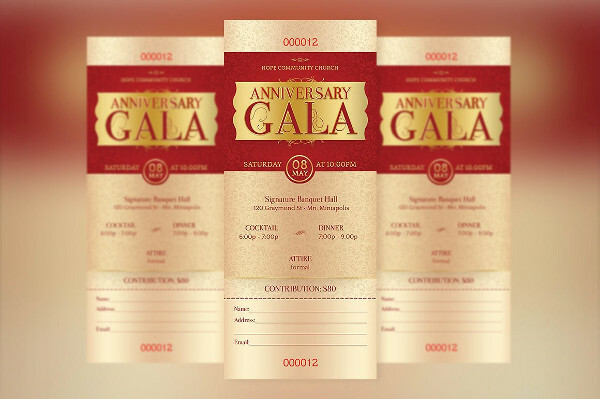 But before you send the invitations, it is important to make a guest list first so that you can just easily refer to it when it is time to distribute the invitations. Make sure that your invitation includes all the pertinent information about your party like the number of years you are celebrating, the date and time of the party, the address of the venue, and other additional information you wish to include. In addition to that, make sure that you send the invitations a month or three weeks before your anniversary party to give them ample time to prepare. You may also see silent night Christmas ticket examples. What’s a party without food and drinks? Make sure you plan out the food and drinks you intend to serve on your party after you choose your location. Coordinate with your venue if they have in-house catering; if so, ask for their menu you can choose from. If there is none, ask them how much will you have to pay if you hire a caterer from outside the venue. Make sure you give a variety of food and drinks that your guests can choose from so that there will be no issues about allergic reactions and whatnot. You may also see carnival event ticket examples. Your anniversary party should be fun and entertaining to your guests. Quite frankly, there should be a lot of dancing. Thus, you should decide on what type of entertainment you want; you can either have a live band or a live DJ to play songs you and your guests will like. If possible, provide a list of songs you want the band to include on their set list, or a playlist for the DJ to refer to. Just make sure your band or DJ can take in requests so everyone can dance all night long. 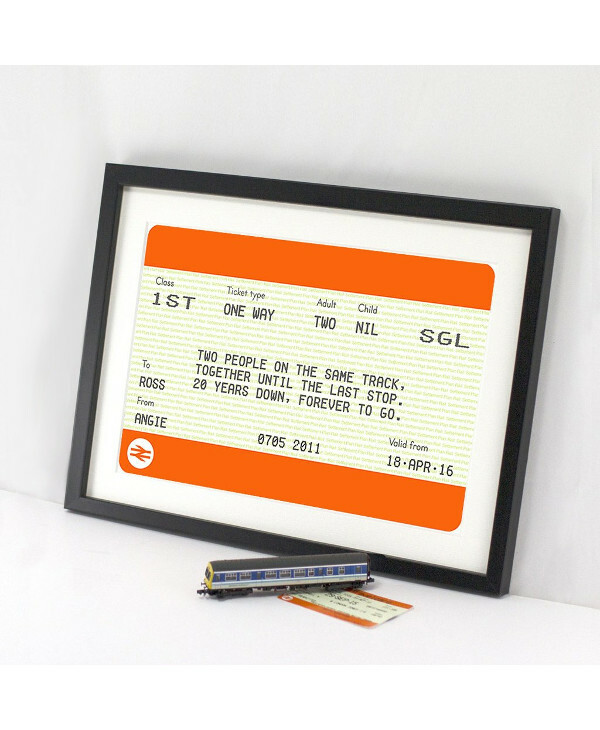 You may also see vintage ticket designs and examples. Lastly, book a photographer that can help you capture the moments on your anniversary party. Photos are permanent keepsakes you can look back to whenever you please. However, photographers can be quite expensive, so make sure that you hire someone that is within your budget. Aside from that, some of your guests will also want a copy of their photos on your party, so having a photographer or maybe even a photo booth that immediately prints out photos to give to your guests as one of your souvenirs is handy. 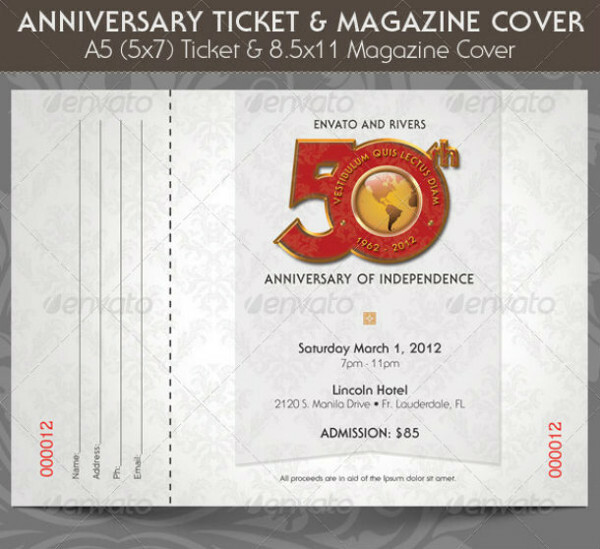 You may also check out here multipurpose event ticket designs.